The fog drifts slowly, creeping mysteriously over hallowed grounds. The resting home of the dead was filled with scary sounds. There is this Jack’o’Lantern and the cemetery is his home. To those who walk bravely in the cemetery at night. 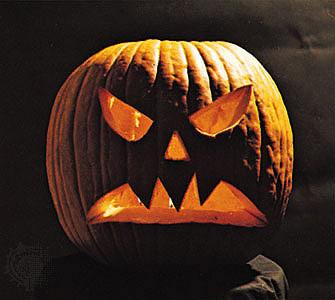 The Jack’o’Lantern will give you such an eerie fright. Their hair stands up with just one blood curdling boo. A cat with raised hackles sits on a tombstone with a hiss. And a zombie out from a grave wildly shakes his fist. Her cackle loud enough with a high piercing pitch. A spider web might be cast upon a face or two. The web is icky and will stick to you like glue. Jack’ o’ Lantern’s smile was up and not down. Now, not a pleasant smile but only a frightening frown. The Jack O’ Lantern throws flames only to have fun. He laughs in a frenzy watching people wildly run. He would bite them if they dared come onto the rickety old porch! And chase them all screaming, running down the street. Dare to be frightened or dare to be brave. It is only one night throughout all the years. You have nothing to be scared of – perhaps only your fears. Remember: The Jack’o’Lantern lives for Halloween. This is the night he could be nastier, nastier and chillingly mean. At one time he was a good pumpkin – this is so sad. One day he snapped his lid and went absolutely mad. 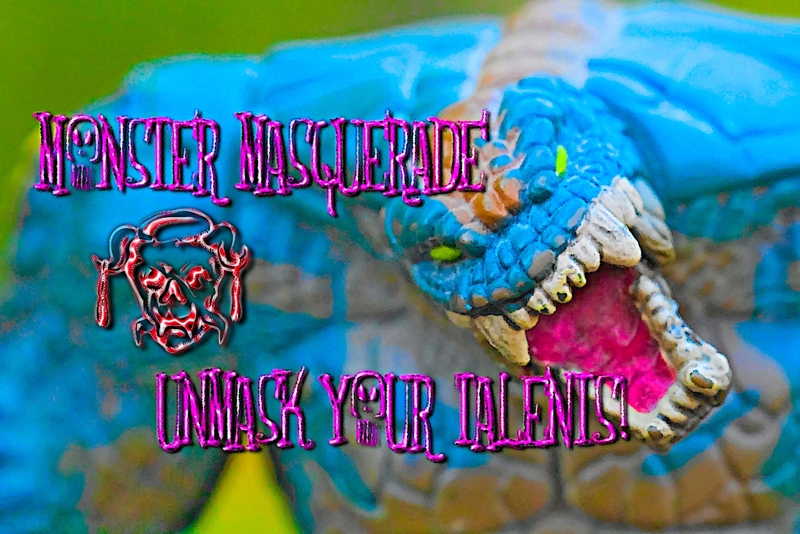 **FlyTrapMan is co-hosting this FUN event on his blog, as well! Fun, clever and perfect for this holiday season. Well done! Thanks Dr. J, Seeing The Whisper is immensely talented. An entertaining and fun poem. Seeing The Whisper does amazing work. Thank you Alan! Ichabod Crane better watch out! Yes, Disney also made an amazing cartoon, The Headless Horseman. Thank you.